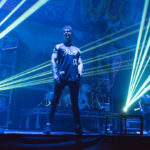 This week saw Bring Me The Horizon bring their “That’s The Spirit” tour to Bournemouth. Alan Ewart went along to check them out. 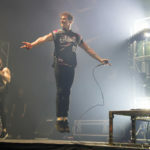 I have a bit of a soft spot for Bring Me The Horizon. 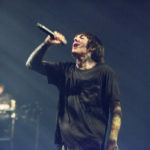 Frontman Oli Sykes has certainly had his demons to fight and I have wanted to see them play a venue gig since catching their set at Reading Festival a couple of years back. 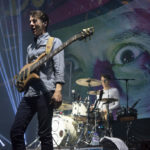 At 4,100 capacity for standing gigs, the Bournemouth International Centre is the biggest venue on the South coast yet it rarely attracts acts of this quality, probably because of it having a reputation for appalling sound. 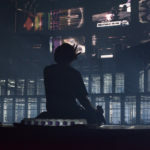 The venue has spent a very large wedge of cash improving the sound quality and acoustics at the venue, whilst it may not be the best around it has considerably improved the gig experience. 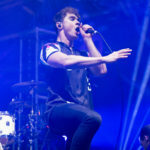 On the night Bring Me The Horizon were supported by Don Broco and Basement. I enjoyed Basement’s set immensely. 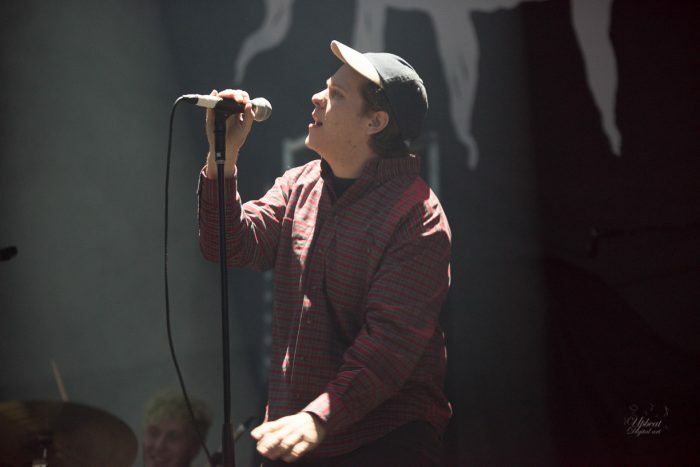 As you would expect Basement played a handful of songs from comeback album Promise Everything. It was a fine set and was thoroughly enjoyed by the large crowd. 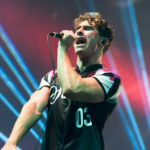 I have caught the much hyped and much admired Bon Broco on a couple of occasions this year, notably at Download festival, where I was impressed with their energy and sense of occasion amidst rain of biblical proportions. 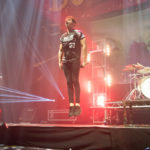 I think Don Broco have a great sound, a great look and bags of energy and enthusiasm. These guys really rock out and have fun. 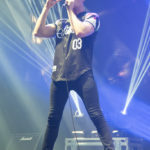 Strangely, as much as I have enjoyed watching them, Don Broco don’t really “connect” with me. 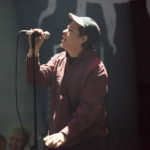 I just put it down to me being an old fart, those on the right side of 30 seemed to have no problem connecting with the band. It was certainly an enjoyable 50-minute set. 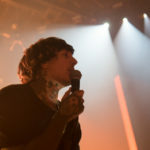 Of course Bring Me The Horizon have a reputation for being fierce live performers and it was then the near sell-out crowd had come to see. They were not to be disappointed. The stage production was probably worth the price of admission by itself. 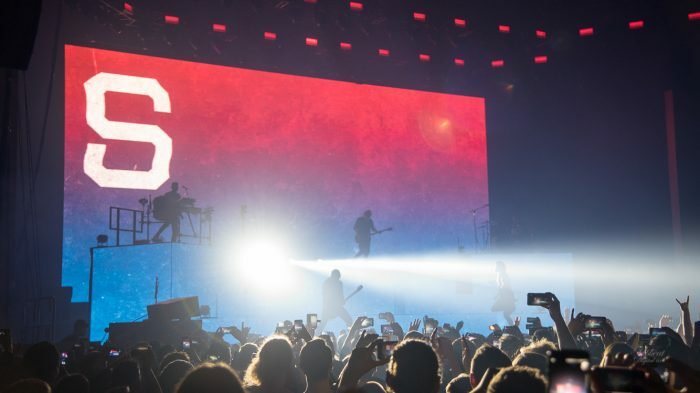 There was no stage backdrop here, instead we had a huge wall of video screens set to look like televisions. At times your eyes were struggling to make sense of the hundreds of images competing for your attention. 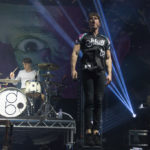 Matts drums and Jordan’s keyboards were set on platforms 2.5 metres from the stage floor and Sykes ran up and down the steps to a central platform. The whole platform a mass of bright white lights that added a spectacular element to the video wall. 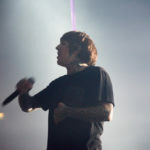 No one can say that Bring Me The Horizon don’t put on a show! 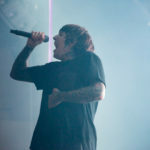 What has become apparent across the last couple of Bring Me The Horizon’s albums is that the band have softened their approach and moved from metalcore to a more mainstream version of rock music. 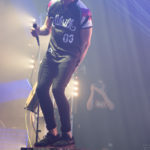 What is clear is that that shift have brought them legions of new fans and those fans were right into the music. 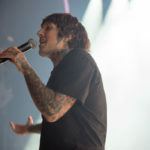 Bring Me The Horizon’s set consisted of 15 songs, 14 of those came from the last two albums, the last was a cover, apparently from Aoife Ní Fhearraigh. As you would expect from Sykes every song was delivered with anger, passion and the sort of energy that leaves you exhausted from watching. Sykes and the rest of the band seemed right into the set as they thrashed around the stage but I was surprised to find Sykes a little uncommunicative. 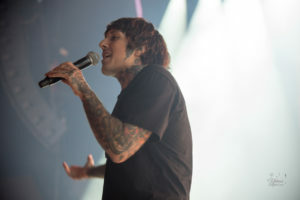 Clearly Oli had decided that he would let Bring Me The Horizon’s music do the talking. 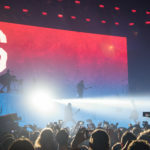 Make no mistake, Bring Me The Horizon are a great live band, whilst they may have moved slightly into the mainstream but who can question a bands search for commercial success?